Curtis Bryant, the husband of a long-time librarian friend of mine, saw my post on Mahesh Rao’s article on libraries in India, and he wrote me about his own experience in a Delhi library. He has given me permission to reprint it here. I have also added a comment at the end. The “Elegy for the Library” article brought back memories of my time in India back in 1972. When I was staying in Delhi I stopped into the library at the University of Delhi, just to browse around. At the time I was interested in knowing more about the intersection of Eastern and Western knowledge and was particularly interested in how it was that the calendar and the constellations along the ecliptic (the astrological sun signs) pretty much correspond in both cultures. 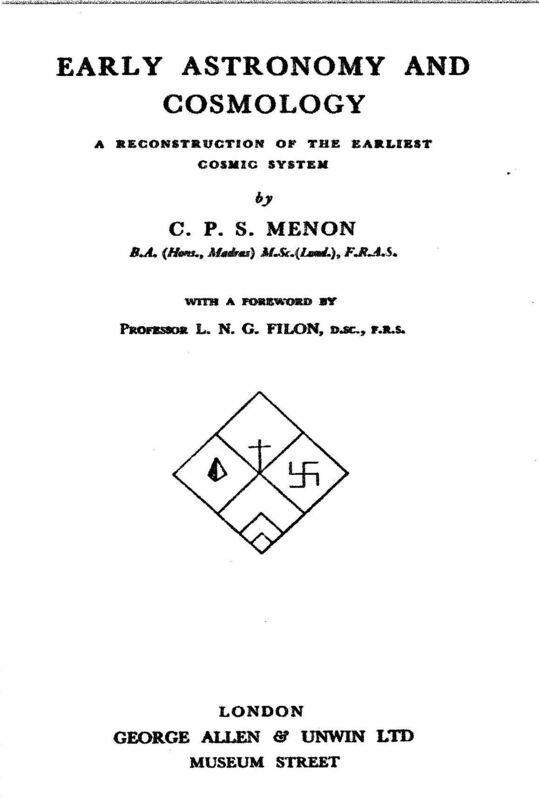 I found my way down to a lower level where I began browsing the shelves and came across a dusty old book entitled “Early Astrology and Cosmology” by C. P. S. Menon.. The time of year was early January, which is the middle of the dry season in India. In spite of that, the effect of humidity over the years had taken its toll. The building at that time was ventilated with open tiles letting outside air in, no air conditioning. As soon as I pried open the cover the browned pages of the book began to crack and crumble in my hands as I turned them, but the subject matter was absolutely fascinating, delving into early Jain cosmology, which outlined a perfectly logical and empirical explanation for a flat, diamond shaped earth with India at the center. The shifting angle of the sun at the solstices and equinoxes had been accurately measured, and these early astronomers explained the seasonal change by proposing that the sun moved on a larger diamond shaped path, hence further south, in the winter and a smaller, tighter path further north in the summer. The earth was divided into four quadrants, and by extension, the path of the sun went through twelve squares (or houses) that surrounded the four earthly divisions. Continuing in this manner, by adding more squares like a chess board, the next “ring” had twenty houses, then twenty eight corresponding to the lunar cycle. The revelation that empirical measurement could lead to radically different views of reality, given the limitations of our instruments and perspective, struck me as having great significance, and I decided that I must copy the important parts of the book. They had no copier there, and I had no library privileges at the university, so I returned several times to the library copying significant portions of the text and illustrations. I felt like a medieval scribe who had come across one of the great lost works of ancient science, and spent the next several days compiling what I could manage into a notebook. Over the next three months I traveled around India, Nepal, and later to several countries in East Africa, including Egypt with my little treasure. Today I could dig it out again where it sits in a cabinet, certainly in a moldy state by now, down in our basement bedroom where you guys camped out with us. So yes, the library must remain a part of our world, housing real books. I have a recurring nightmare of a coming dark age when after some unforeseen cosmic supernova sending cosmic rays that fry every electrical circuit on the planet, or even more simply, a malicious hacking of our too fragile Internet that we have come to depend on too heavily, the world plunges back into an age of fragmented knowledge and backward thinking. We are actually doing a pretty good job of this without the assistance of such catastrophes. Looking for images to illustrate Curtis’s letter I was very surprised to discover that Early Astronomy and Cosmology was published in 1932. From his description of the dusty old book with brittle paper I imagined it was published in the 1800’s. I was terribly disappointed and wasn’t sure what to do. I wondered if Curtis after all these years had forgotten that it was a book only about 20 years older than he. Now with the internet he could find it digitized on line and for sale at used book shops. I almost decided not to reprint it here. I didn’t want to ruin his memory. But as I thought about it I realized that there is definitely something to be learned here. Curtis’ nightmare is not inconceivable. Librarians and archivists have done much to try to preserve originals — climate control, archival acid free storage, limiting usage of delicate items. However there is a great possibility that all of our time and energy spent on preservation, and on digitizing the great books, manuscripts, maps, and documents of civilization, may be for naught. 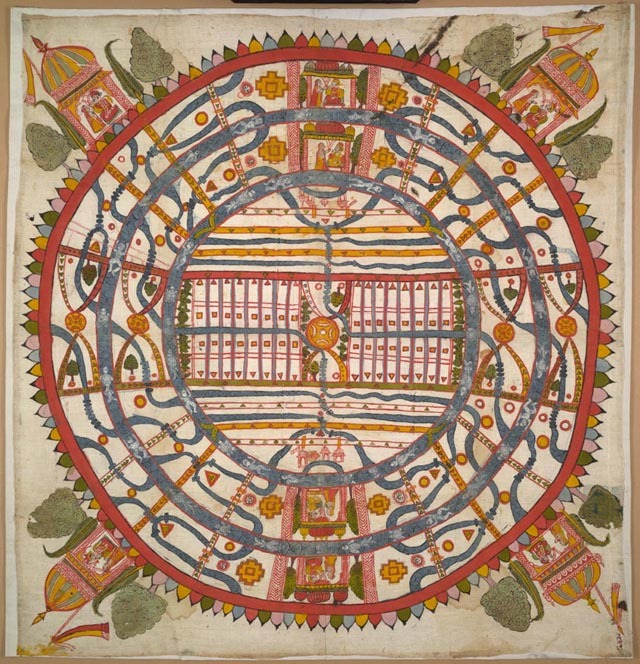 The digitized versions may be as fragile as the paper or parchment on which they were first written. I suppose it is possible that in the end we will be left with neither . I recently went to see Frederick Wiseman’s documentary Ex Libris: The New York Public Library. Tears ran down my cheeks as certain images of the reading room, the stacks, the exhibits along the halls, the manuscript collections, the map room, the back rooms where the returns are sorted to be sent to the branches or to be put back on the shelves, and the lions flashed on the screen. Digital books and access to digitized materials in your home while you are in your bathrobe are immediate and efficient, but there is nothing like the old, tried and true and tactical way of browsing and researching in a library. We who are old enough to have had the experience are fortunate.